The province of a thousand temples. That’s how we called Central Java. 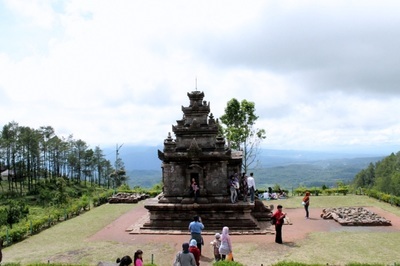 One set of these temples is located close enough to the capital city, Semarang, right on the highlands of Bandungan. It’s called Candi Gedong Songo (9 Temples). According to literature, the nine temples were built in the 7th century, during the ancient Mataram era. 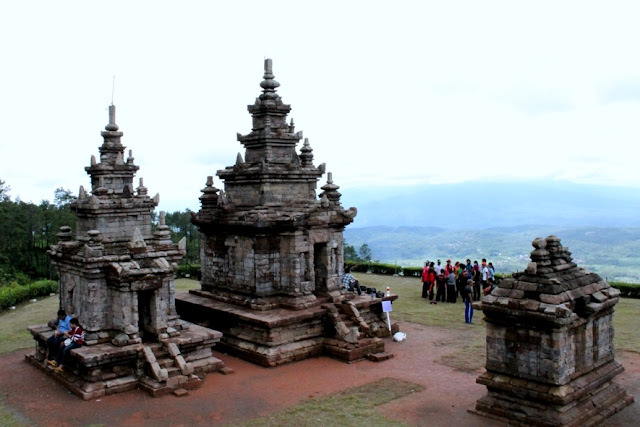 Candi Gedong Songo is categorized as Hindu temples, based on the characteristics found on other Hindu temples in Indonesia. The temple images found here are including different manifestations of Siva, one of Ganesha and one of the Vedic Sage Agastya. 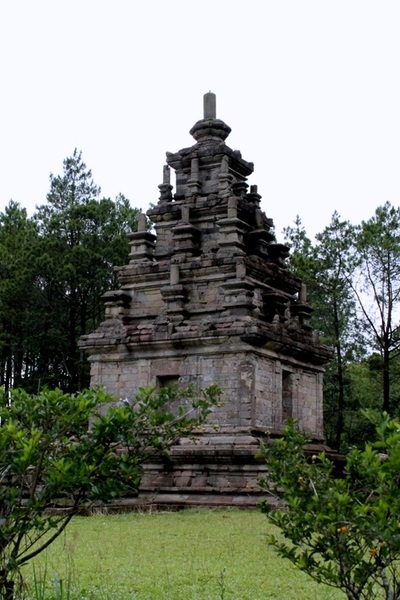 The temple was discovered by Joan Gideon Loten, a Dutch serving the East India Colonies in 1740. The cultural site is an hour and a half away south of Semarang ciy. 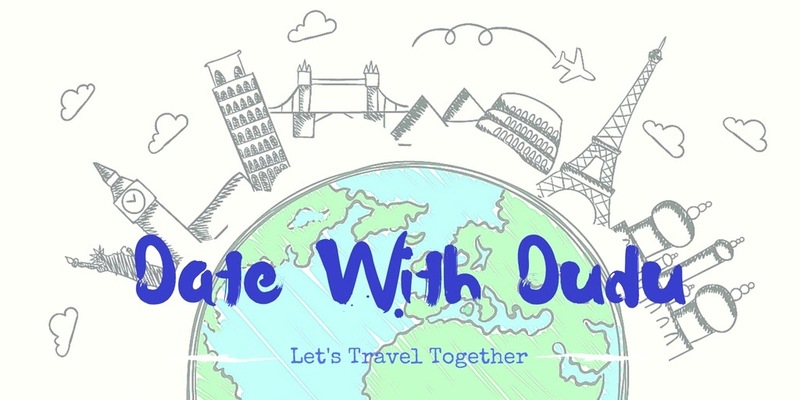 But if you want a change from the big city, stay at Ungaran or Bandungan the night before to get a fresh start. 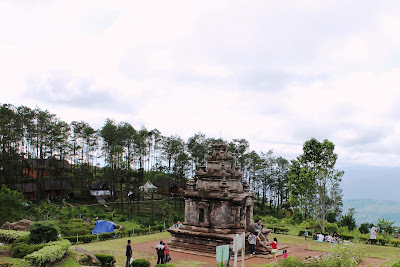 Really easy to go there when you have a car, all you have to do is drive up to Bandungan and follow the smaller road up to the area. Parking, however, is one homework for us car driver. Come early, before 8 AM on the weekend, and let the locals help you finding parking by the residents’ houses along the road. Motorcycle, on the other hand, is a more effective transport if you’re not visiting with a large number of family members or friends. Once parked up, you just have to hike a little bit to reach the ticket booth and pay for the entrance fee. We spend a little over three hours hiking up and down, with the last 30 minutes under the rain. We started around 9 on the first temple and decided to hike up, leaving the grandparents behind. There are horses for rent if you want to ride up and down, but Andrew is an outdoor kid and hiking is one of his favorite thing to do. So off we go to the rest of the temples. The next temple is quite far with roads not too friendly for walking. There are small stalls along the way just in case you’re tired. We took the right path up and returned with the left one. 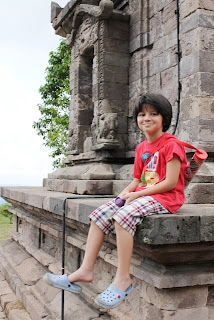 After passing an outbound area, we arrived on the temples, managed to visit around 5 of them. The other two are located on the far side of the mountain. To visit the last group of temples, we passed a hot spring, with (again) small stalls to rest and refuel. It was sprinkling when we're climbing down but we managed to reach the food stalls before the rain got heavier and spend lunchtime waiting for the rain to stop. 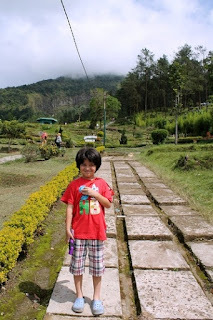 According to local legend, this hot spring is the place where the monkey hero, known as Hanoman, managed to lock the immortal Rahwana in the end of Ramayana legend. And the cave is where Hanoman ended up meditating. Visiting Candi Gedong Songo is a good way to educate Andrew about preserving the culture and history. He saw some writings made by lovebirds visiting the spot and drawings made by local students complete with their class and year, pushing him to ask why they can write on the ancient temples. He also went to the unfinished ones, figuring out what happened and why these temples are left as ruins. These temples have a thousand stories to tell and teaching our children to care for these cultural properties protection area are the best way to ensure these stories go along way through the generation.